One only need to look at the health and beauty industry, more specifically, the amount of hand and body moisturizers on the market to get an idea of how prevalent dry skin is across the world. From bedside tables, to bathrooms, purses and glove compartments, both men and women alike use moisturizers in order to help combat dry, irritated skin. Sales of moisturizers typically peak in the winter months, as a common skin condition known as Eczema can form. Eczema is a medical condition, in which patches of skin become rough and inflamed, with blisters that can cause itching and bleeding, sometimes resulting from a reaction to irritation (eczematous dermatitis) but more typically having no obvious external cause. For many, this only occurs in the winter months and is brought on by cold, dry weather. However, what happens if your skin is still severely irritated, and doesn’t choose to follow a winter schedule? While most people will experience dry skin to some degree year round, if you notice more severe and frequent instances of it occurring, than there is a good chance that there could be an underlying factor, specifically, psoriasis. Psoriasis is a type of skin disease that results in the scaling and inflammation (pain, heat, swelling and redness) of the skin. For those of you, who are unaware, the skin cells grow deep in the skin, and in time, slowly rise to the surface in a process called turnover, which takes about a month. With psoriasis, this process happens in just a few short days, causing the cells to rise to fast, and the result is them piling up on the surface. Being that psoriasis is an autoimmune disease as well as chronic, there sadly is no cure. However, like with most ailments, early detection and treatment can lead to a happy, and even symptom-free life. In order to help you learn more about this very real disease, allow us to present you with 10 of the most common symptoms that are associated with psoriasis, so that you, if the disease becomes a reality, may mitigate the impact it has on your life and possibly keep anyone from even knowing you have it. 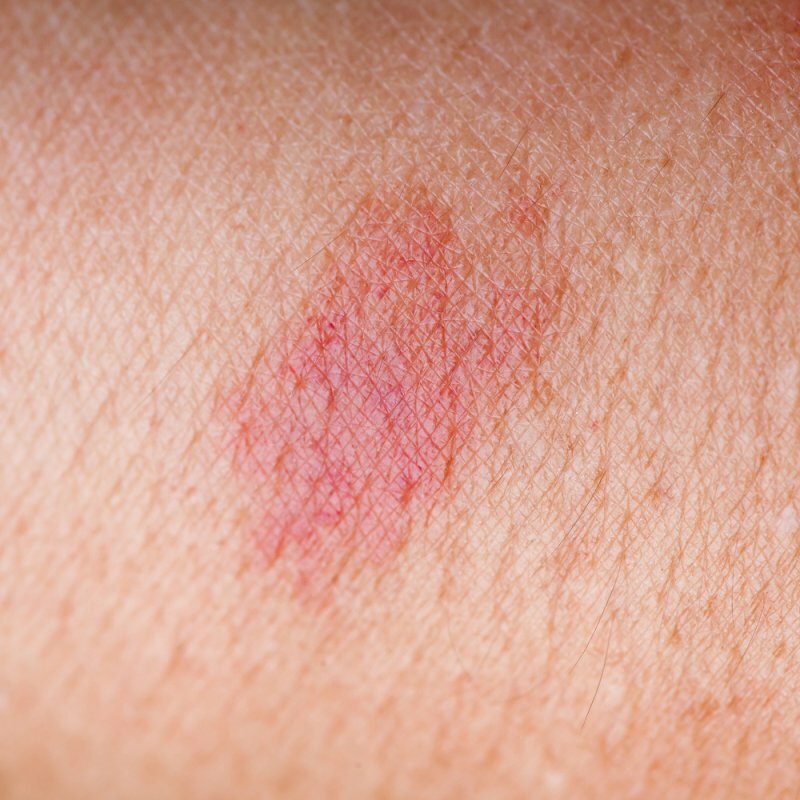 The most common symptom of psoriasis is the quintessential red patches. As we mentioned earlier, psoriasis is characterized by skin cells that multiply substantially faster than normal. When these cells reach the surface and inevitably die, it is by sheer volume that causes raised, red plaques, or as common known, rashes. This can often be itchy and irritate the skin further.